Did you know that instead of having a @mailfence.com e-mail address, you can have e-mail address(es) with your own e-mail domain name hosted on the Mailfence secure and private platform? How to create an e-mail address with your own domain name? 1. Own a domain name. We do not commercialize domain names: if you do not have one, you can for example acquire one with the following European companies: https://www.ovh.com, https://www.1and1.com or https://www.gandi.net. 2. Own a paying subscription on Mailfence.com. – All e-mails sent to any address of your domain name will be directed to our servers (though you still can forward some of them automatically afterwards). – If you already have an e-mail server for your domain name, be sure to follow the procedure correctly to avoid the loss of messages during the transition. Before you start following this procedure, please make sure that your account’s reset/notification address is not based on a domain that you are about to add on our platform.If yes, then do not forget to change your reset/notification address with some other service (e.g., notyourdomain.com) – as ‘yourdomain.com’ DNS MX records will be pointed to us and you will no longer be able to recover your account in case of compromises. You can add a new address by going into your account Settings -> Account -> Personal data -> Edit -> Communication: +/- (click on ‘+’ sign to add). Go to your account Settings -> Messages -> E-mail domains. Then click on ‘Add an e-mail domain’, write down your domain name in the prompt and click on ‘Save’. Click on ‘Verify’, to proceed. mydomain.com MX preference = 10, mail exchanger = smtp1.mailfence.com. mydomain.com MX preference = 10, mail exchanger = smtp2.mailfence.com. – the two entries are important to guarantee a good load balancing and fail over. – make sure you enter the same preference value (e.g. 10) in both of the MX records. – in some cases (depending your domain DNS record manager), you will have to add the “.” at the end of the MX records. Without them the MX records will be faulty (smtp1.mailfence.com.mydomain.com). Please set up the desired email address(es) based on your domain, by adding alias(es) (Settings -> Messages -> Aliases -> New -> Choose your domain from the drop-down menu -> Save). – In case you need to set-up a catch-all address for your domain, then send us an email to support@mailfence.com with your login name and desired catch-all address (e.g., catchall@mydomain.com). 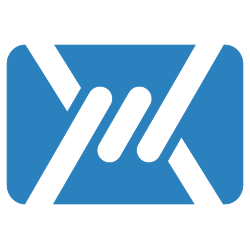 – In case if you would like to replace your Mailfence account primary email address to your domain based address, then please send us an email to support@mailfence.com. Your existing @mailfence.com e-mail address can be configured as an alias if you request so. Otherwise it will be deleted and might be attributed to an other user one day. Be sure to inform your contacts of the change of address. Once you finish setting up all of the desired email addresses based on your domain and can send and receive emails, check this blogpost for SPF, DKIM and DMARC to protect your emails from spoofing. Got some questions? Feel free to contact support@mailfence.com. 10 tips on how to protect your computer from viruses and malware!